Melissa Etheridge "This is M.E. Solo" - Otter Productions Inc. | Otter Productions Inc. Melissa Etheridge "This is M.E. 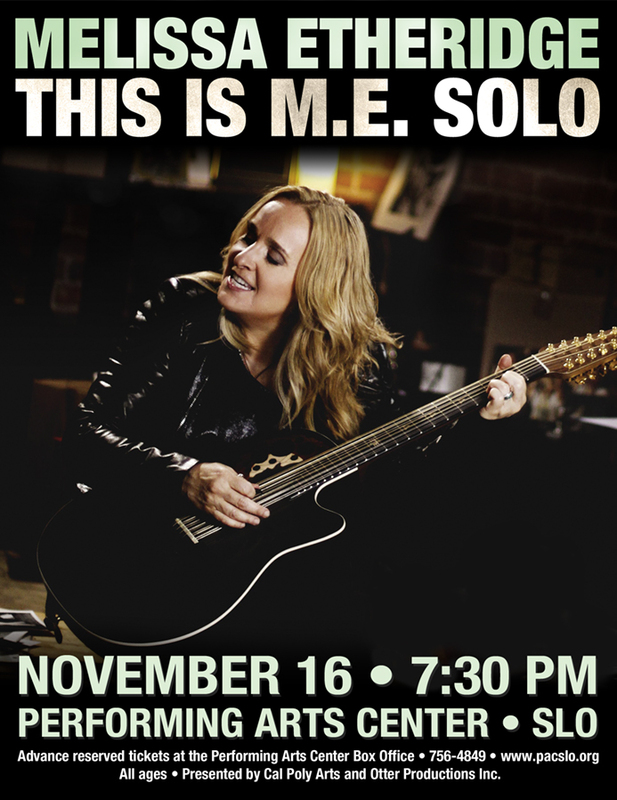 Solo" - Otter Productions Inc.
Melissa Etheridge visits the Central Coast with her “This is M.E. Solo” solo tour at the Performing Arts Center in San Luis Obispo, Monday night, November 16, 2015 at 7:30 p.m. Advance reserved tickets will go on sale Friday June 5th: 10 a.m. online at www.pacslo.org and at noon at the PAC Box Office on the Cal Poly Campus, call (805) 756-4TIX (756-4849). 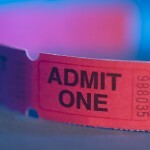 Tickets $40-$68 plus service charges. All ages. Academy Award and GRAMMY winning artist, Melissa Etheridge, will take the stage to perform songs from her new album, This is M.E., as well as some of her greatest hits like “Come to My Window”, “I’m The Only One” and “I Want To Come Over”. Known for her iconic voice, profound lyrics and riveting stage presence; Melissa will share personal stories about her remarkable journey through life and the inspiration behind some of her most beloved songs.